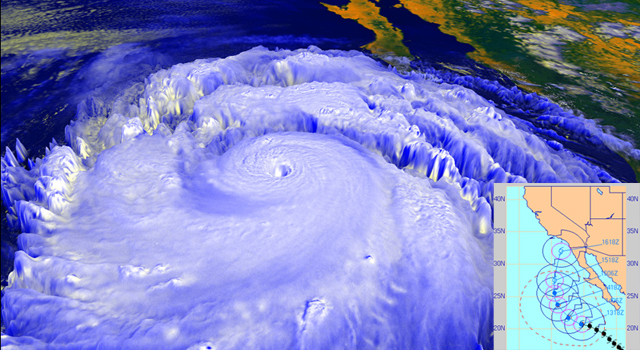 Could a Hurricane Ever Strike Southern California? PASADENA, Calif. -- NASA's Mars rover Curiosity has ingested its first solid sample into an analytical instrument inside the rover, a capability at the core of the two-year mission. 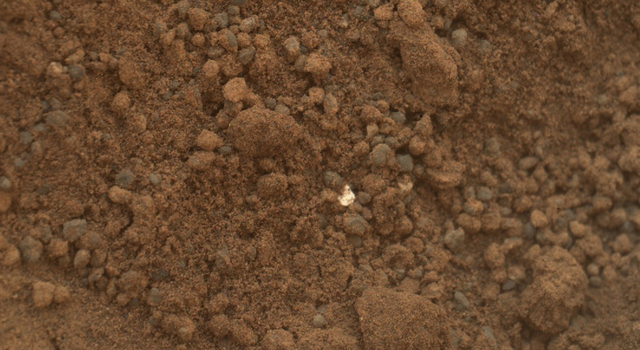 The rover's Chemistry and Mineralogy (CheMin) instrument is analyzing this sample to determine what minerals it contains. "We are crossing a significant threshold for this mission by using CheMin on its first sample," said Curiosity's project scientist, John Grotzinger of the California Institute of Technology in Pasadena. "This instrument gives us a more definitive mineral-identifying method than ever before used on Mars: X-ray diffraction. Confidently identifying minerals is important because minerals record the environmental conditions under which they form." 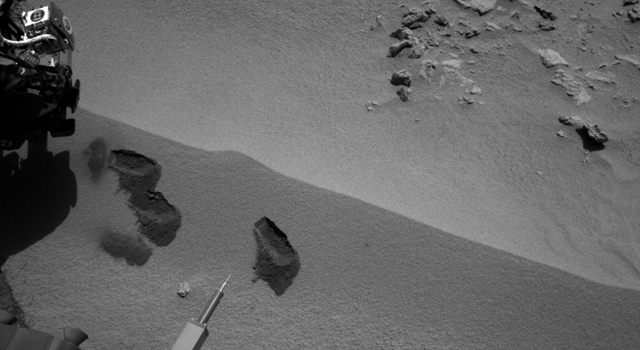 The sample is a sieved portion -- about as much material as in a baby aspirin -- from the third scoop collected by Curiosity as a windblown patch of dusty sand called "Rocknest." The rover's robotic arm delivered the sample to CheMin's opened inlet funnel on the rover's deck on Oct. 17. 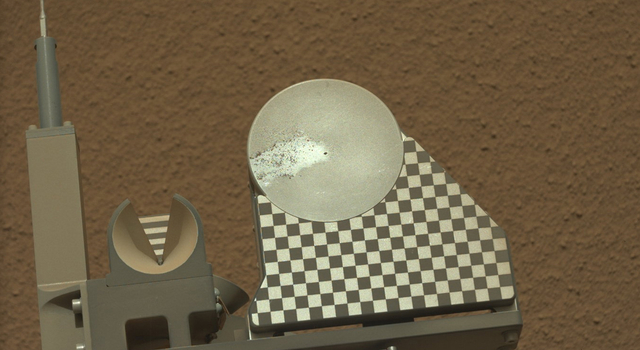 The previous day, the rover shook the scooped material inside sample-processing chambers to scrub internal surfaces of any residue carried from Earth. One earlier scoopful was also used for cleaning. Additional repetitions of this cleaning method will be used before delivery of a future sample to the rover's other internal analytic instrument, the Sample Analysis at Mars investigation, which studies samples' chemistry. Various small bits of light-toned material on the ground at Rocknest have affected the rover's activities in the past several days. One piece about half an inch (1.3 centimeters) long was noticed on Oct. 7. The rover team postponed use of the robotic arm for two days while investigating this object, and assessed it to be debris from the spacecraft. Images taken after Curiosity collected its second scoop of Rocknest material on Oct. 12 showed smaller bits of light-toned material in the hole dug by the scooping action. This led to discarding that scoopful rather than using it to scrub the processing mechanisms. Scientists assess these smaller, bright particles to be native Martian material, not from the spacecraft. 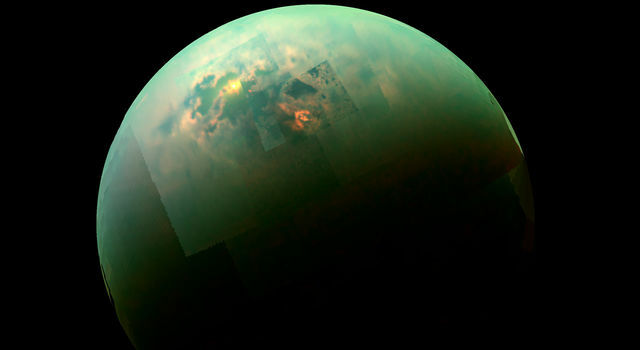 "We plan to learn more both about the spacecraft material and about the smaller, bright particles," said Curiosity Project Manager Richard Cook of NASA's Jet Propulsion Laboratory, Pasadena. "We will finish determining whether the spacecraft material warrants concern during future operations. The native Mars particles become fodder for the mission's scientific studies." During a two-year prime mission, researchers are using Curiosity's 10 instruments to assess whether the study area has ever offered environmental conditions favorable for microbial life. 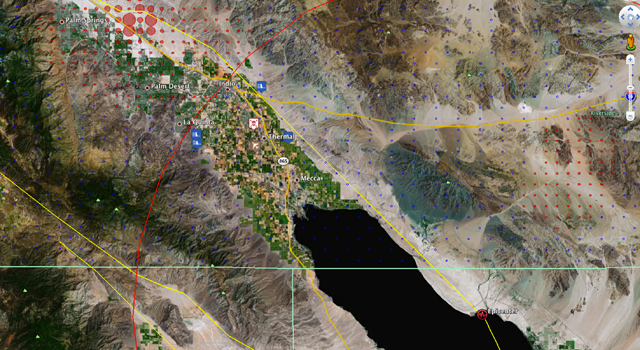 JPL, a division of Caltech, manages the project and built Curiosity. For more about Curiosity, visit: http://www.nasa.gov/msl , http://www.jpl.nasa.gov/msl and http://mars.jpl.nasa.gov/msl . You can follow the mission on Facebook and Twitter at: http://www.facebook.com/marscuriosity and http://www.twitter.com/marscuriosity . This new region on Mars might reveal more about the role of water on Mount Sharp.